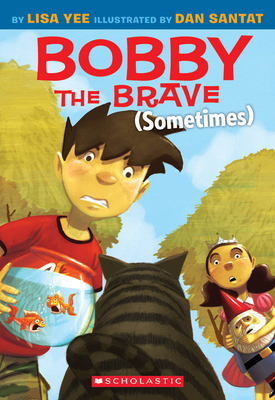 From Lisa Yee and Caldecott Medalist Dan Santat, a hilarious sequel to Bobby vs. Girls (Accidentally). Bobby Ellis-Chan is ready to fight his fears (maybe?). In his last adventure, Bobby Ellis-Chan got stuck to a stinky tree, had underwear attached to his back, and faced down a whole wolfpack of girls. What could be scarier or more humiliating than that?